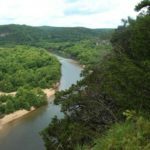 First National River, Wild and Scenic River, Wilderness – these are all terms that describe and define the Buffalo National River as it winds its way through the wild and beautiful Ozarks of northwest Arkansas. Beyond the Buffalo are the Ozark National Forest and the Leatherwood Wilderness. 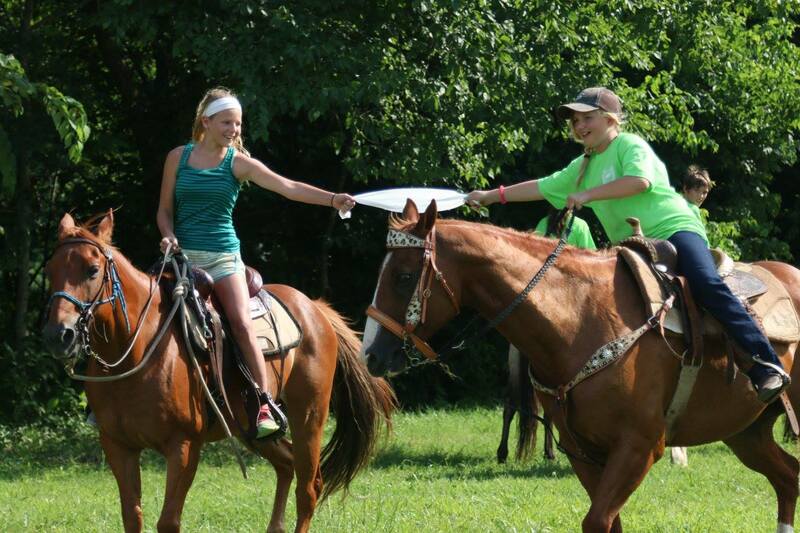 Much of these scenic areas are rugged and remote, and the best way to experience them is from the back of a good horse. 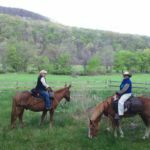 Members of our local Back Country Horsemen chapters agree as we have all spent many happy hours on horseback exploring along the river and into the deep canyons and dense forests that surround it. Thundering waterfalls, historic old home places, bugling elk, and profusions of wildflowers…from the road you get only a glimpse of these treasures that lie tucked within these hills. 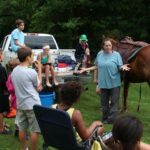 Wandering the trails on horseback, you come to know them, and as a Back Country member, you have a part in protecting them. 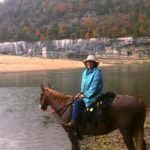 While this is not meant to be a comprehensive guide, we do have information and tips to share about riding the trails of the Buffalo River, the Ozark National Forest, and surrounding areas. We hope you will consider this Trails section a work in progress and check back often as members contribute their knowledge and experience. For now, a good starting place for riding the Buffalo National River is with the two Trails Illustrated maps published by National Geographic Maps. Buffalo National River West Half follows the river, roughly west to east, from its headwaters to its middle section at Woolum. 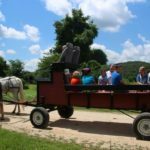 The Buffalo National River East completes the journey from Woolum to the Buffalo’s merging with the White River near Buffalo City. These waterproof maps include roads, basic trails, campgrounds, important phone numbers and park regulations. You can find them online through nps.gov/buff or at Park Service visitor centers, river outfitters, local businesses and many bookstores. The maps don’t tell the whole story (vines grow, signs become obscured, trails grow dim), but they are essential tools to all who hike or ride this area. Whether you’re looking for a developed campground or a wilderness adventure, the Buffalo National River has a place for you. 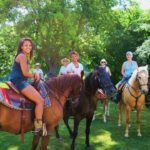 Most of the more than 75 miles of equestrian trails are designated with yellow blazes,and these trails may include old road traces, gravel bars and rocky mountain paths. Some meander gently, crisscrossing the river many times (plan accordingly) and others are narrow, steep and challenging. 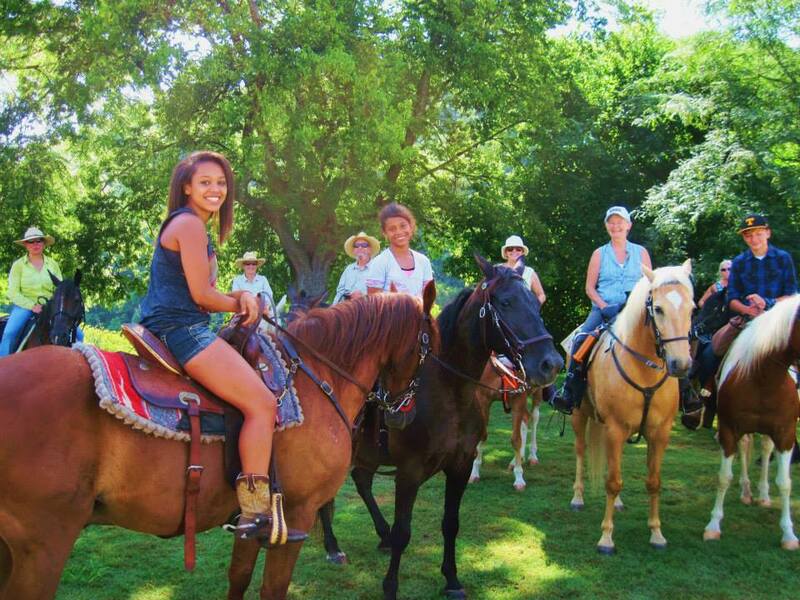 The most extensive section of designated horse trails is in the upper section of the river; more primitive trails are found in the lower section of the river. Again, the Trails Illustrated maps are good resources. Another good option for finding your way around is to join our members’ work days. 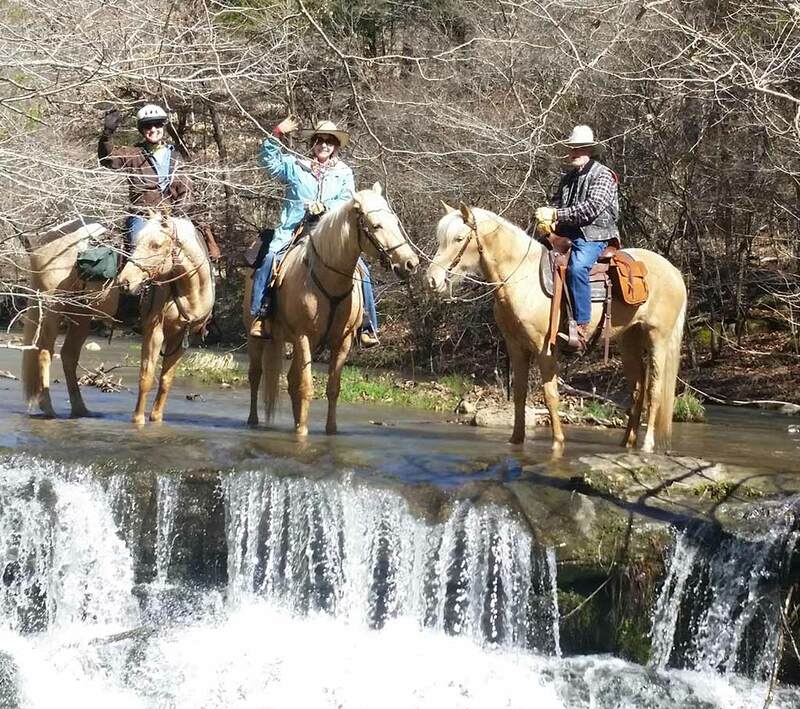 Between our three local chapters of Back Country Horsemen, we cover many of the trails of the Buffalo River and the Ozark National Forest in the course of a year. 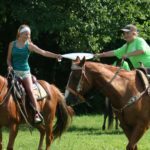 Please, scroll down for more information about camping and riding here in northwest Arkansas and to find important phone numbers you may need. 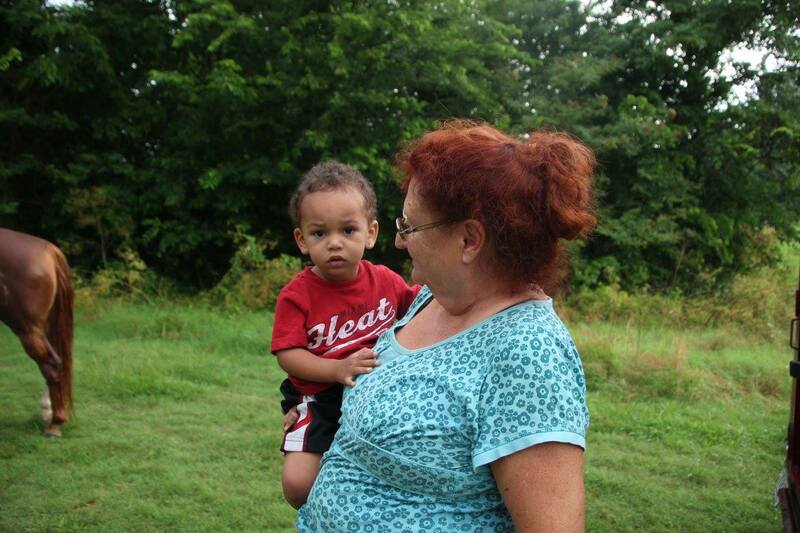 To add to this Trails Section, please contact us at info@arkansasbch.org or call Pam Floyd 870-480-6655. 1. Steel Creek – Located off Hwy 74 between Ponca and Jasper. It's a short, steep, winding drive down in to Steel Creek, but the road is paved, and the setting along the soaring bluffs is spectacular! Cross the river at the yellow blazes located at the end of the horse camp or at the end of the people-only camp and you’re on some of the prettiest trails the park has to offer. Spaces are a bit tight but can accommodate most rigs. There are picnic tables, permanent posts for high lines, and two water faucets available. There is also a restroom nearby, but no showers. 2. Erbie – Located off Hwy 7 north of Jasper and south of Harrison. The road in includes approximately 7 miles of gravel/dirt road and a low water river crossing (so if the river is up--do not go this way). An alternate route, Erbie Cut-Off Road off of Hwy 206, also features 6-8 miles of moderately rough gravel/dirt road and a water crossing. 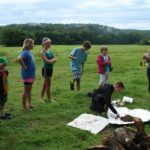 The horse camp is not well marked, but the setting is a lovely meadow with picnic tables and a pit toilet is available. One trail leaves out the back of the camp sites to the right of the pit toilet and leads down to the river, which is about 1/2 mile away. You can, also, access the beautiful Cecil Cove Trail from the road just outside the horse camp. You will need to bring your own water as there is none available in the camp. 3. Woolum – Located off Hwy 374. From Hwy 65 in St Joe, turn onto 374 and follow park signs approximately 6 miles to the camp. The last 4 miles or so are on rough gravel/dirt, but you will be rewarded with a large, open meadow with campsites right on the river. There’s a deep swimming hole, two pit toilets, and plenty of room to highline or picket. Good trails leave the camp from all directions, but they can be hard to find. 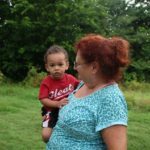 The Trails Illustrated Map of that area is helpful in finding some of the trails, but you might want to join the Lower Buffalo River BCHA chapter for one of their work days to get the lay of the land. 4. Log Wagon Gap – Located way off Hwy 14 down Cozahome Rd to Big Creek Rd, where it dead ends at this tiny, primitive "campground". The narrow road is one-way as you go in with no pull-out or turn around. There are no facilities and limited parking. The river is approximately one mile away, and the trails are not easy to find. 5. Hathaway – Located off Hwy 62 East. 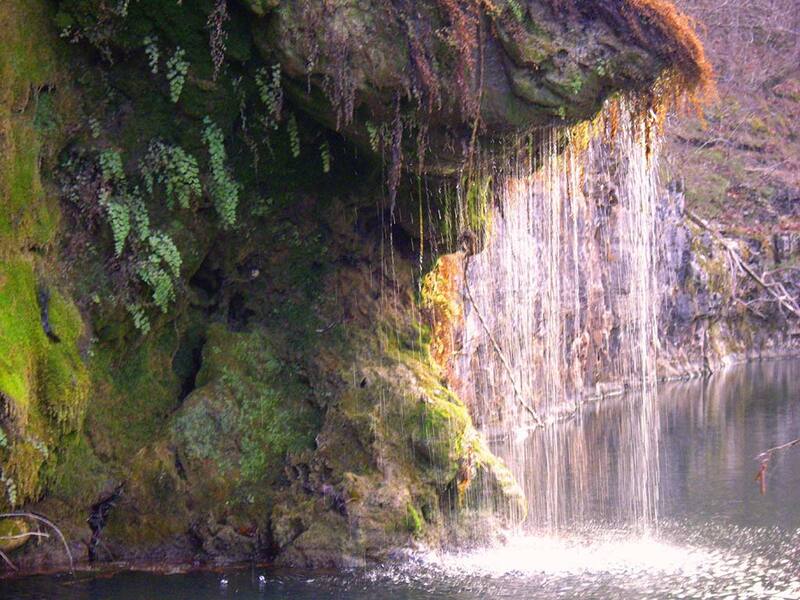 Approximately 7 miles east of Yellville, turn onto Hwy 101 and travel 10.5 mi. to where the pavement ends. Continue .9 mi. to a small, grassy parking area on the left. There is a semicircular drive with 2 entrances. 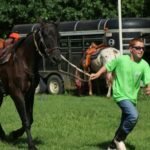 There are no facilities, but there is room for several rigs and room to highline or picket horses. The trail leaves from the back of the campground on the left side. 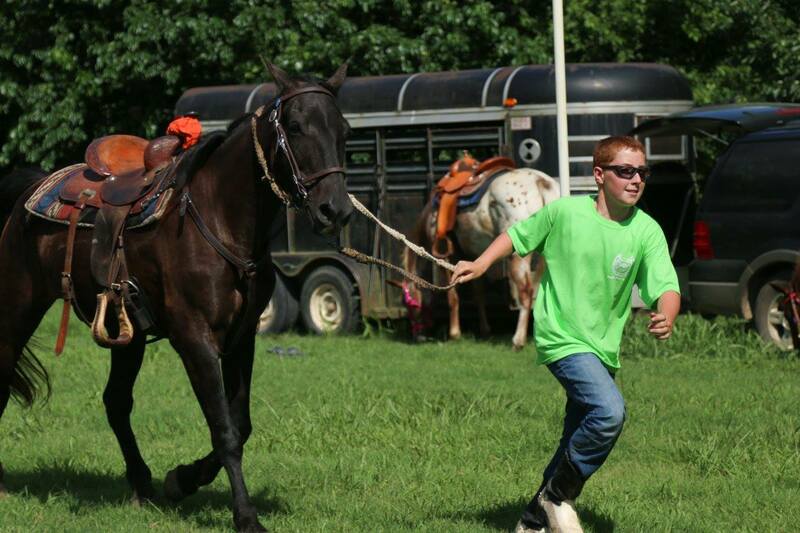 Centerpoint Horse Camp – Located on Hwy 43 between Ponca, Arkansas and Compton, Arkansas. Phone: 870 420 3222. 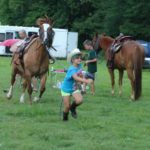 Electric/water at sites with pens or highlines for horses. Bath house and bunkhouse also available. Centerpoint Trailhead, which accesses trails on the upper Buffalo and the Ponca Wilderness areas, is directly across the road from the camp. Gilbert RV Campgound – Located downtown in the little town of Gilbert, Arkansas, near the middle section of the Buffalo River. Phone: 870 439 2111. Full hook ups available. 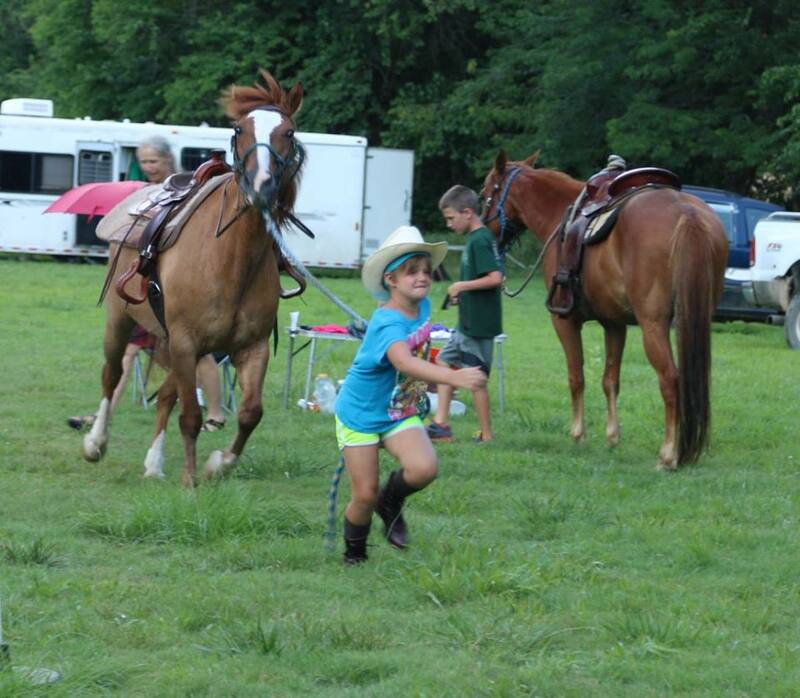 There is a grassy area behind the camp for horses, but you must call ahead to make prior arrangements and you will need to bring your own electric pens or picket. 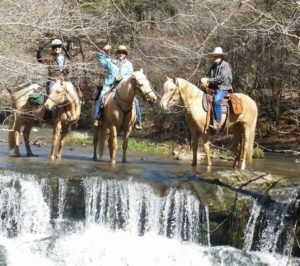 Caney Mountain Horse Camp – Located north of Big Flat, Arkansas, and surrounded by the Sylamore Forest, Leatherwood Wilderness and the Lower Buffalo River. Phone: 870 688 8686. Bunkrooms and LQ sites are available. Generators welcome but no electric. Horse pens located adjacent to sites with nearby water faucets. 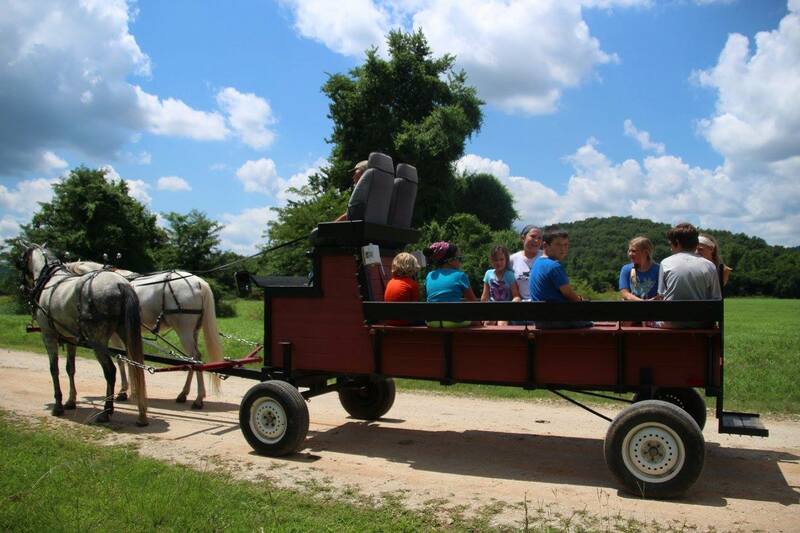 Shelton's Big Flat Getaway - Located near Big Flat, Arkansas, in the heart of the Ozark Mountains. Phone: 870 448 7435. 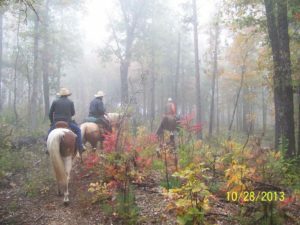 Trails lead out of camp into the Ozark National Forest with guide service available. There are 30 full service hook ups, several cabins and three barns. 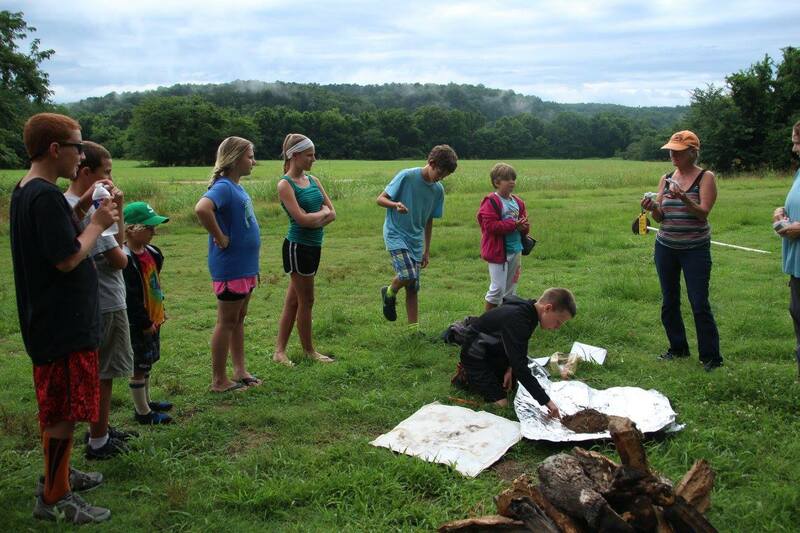 Approximately 136 miles along the Buffalo River are under the protection of the National Park Service. Within this area and adjacent to it, there are also six specially designated Wilderness areas, and some of these fall under the jurisdiction of the U.S. Forest Service. 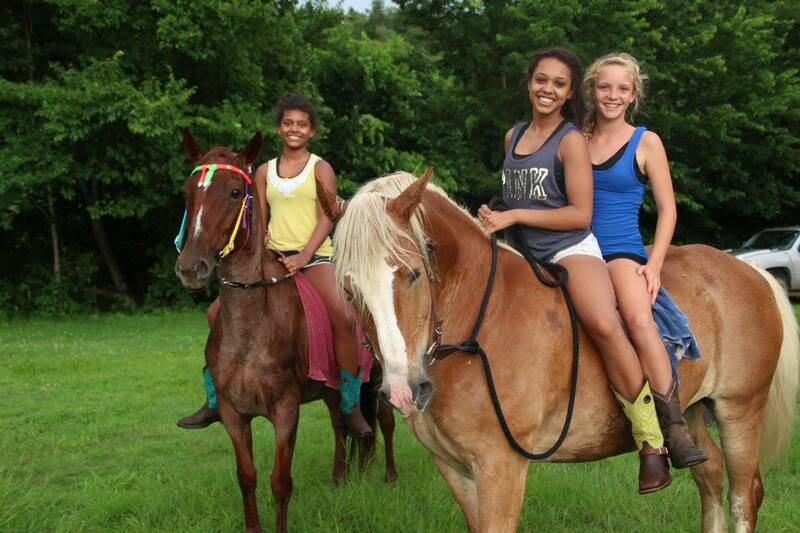 Great trail riding doesn’t end at the boundaries of the Buffalo. 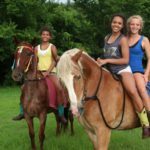 In Arkansas the options for scenic, challenging, and varied riding experiences are almost endless. 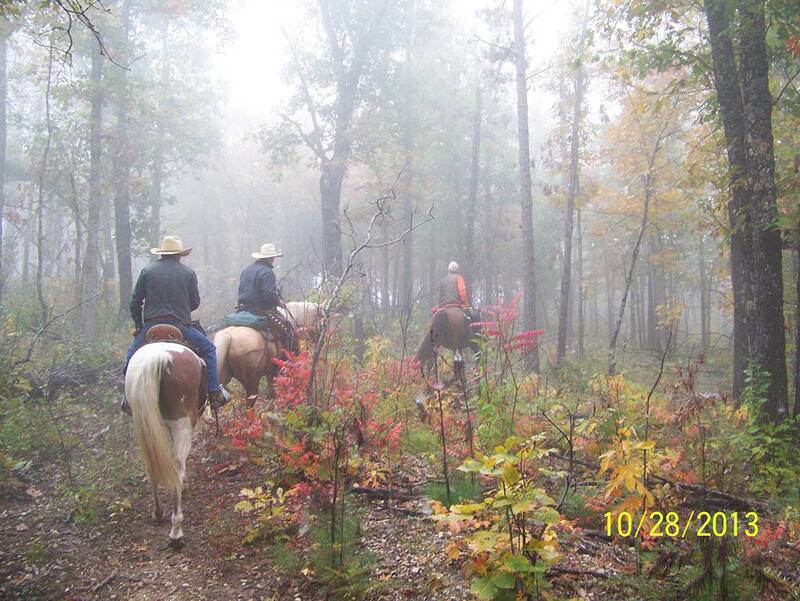 Some of our members ride and help maintain trails in the Wildlife Management Areas (WMA’s) overseen by the Arkansas Game and Fish Commission. Maps of two of these, the Gene Rush and the McElroy Madison County Wildlife Areas can be found under Resources on the Commission’s website. Just a reminder to go gently into the wilderness and back country spaces that we seek to protect. 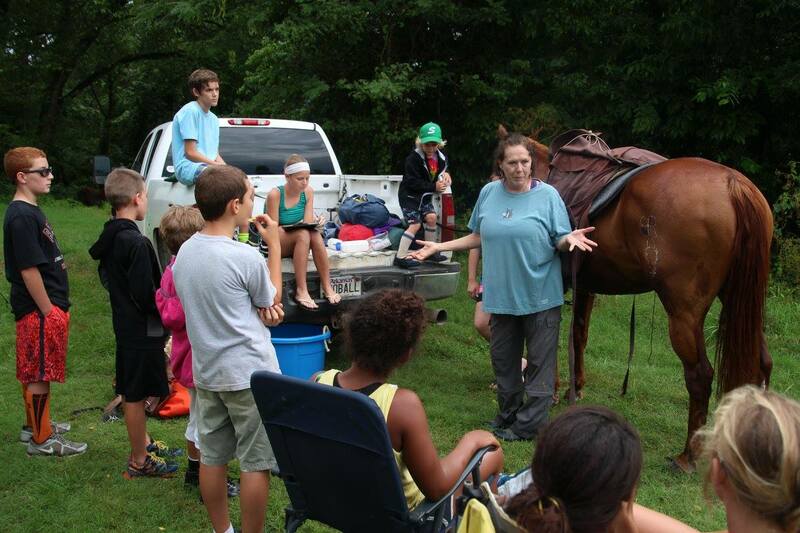 Horses and mules can have a big impact on the environment, so all Back Country members are encouraged to learn, practice and pass on Leave No Trace skills and ethics so that our precious back country resources will remain for future generations to enjoy. For more information, contact lnt.org or call (800) 332-4100. BCHA Members who would like to share trail information, maps or stories, please contact us at info@arkansasbch.org or call Pam Floyd at 870-480-6655.